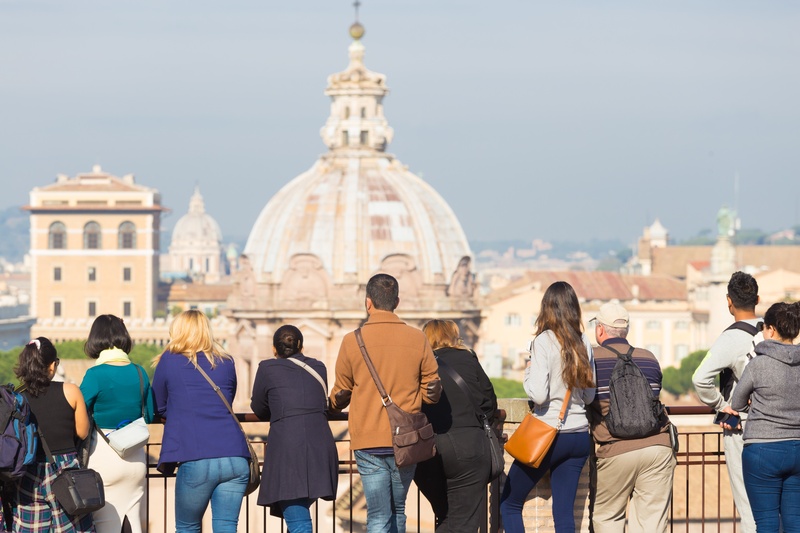 Why Is Group Incentive Travel So Effective? Group incentive travel has been used for many years and by many companies to reward their top performers. Whether you’re sending your top 50 customers or your 100 best-selling salespeople, group incentive trips can prove a huge motivator and can positively impact your Return on Investment, Experience, and Relationship. But what is it about these trips that are so motivating? And how do they successfully impact business goals? For some professional insight to these questions, we turned to a veteran of group incentive travel, Marcia Colburn, the Corporate Marketing and Brand Manager at Caterpillar Financial Services. Marcia has utilized numerous group incentive travel programs to help her achieve her business goals, and she was kind enough to take time out of her day to answer a few questions about her firsthand incentive travel experiences. HMI: Why have you used incentive trips in the past? Why do you think they’re effective? MC: We have used incentive trips in the past to continue to build relationships with our key dealer management personnel. Our results have shown that our business metrics do go up during our contest year that results in a reward trip. However, we believe the best result is in ROR – return on relationship – which is harder to measure. The feelings we have when the trip concludes are so powerful that we continue to use group travel as part of our overall incentive program offerings. HMI: How many incentive trips have you been a part of? MC: I began working on incentive trips for my company in 2004 with my first coordinated contest in 2005 and our award trip in 2006. We run this program every three years, so I’ve developed and managed four programs and trips as well as a special European program we ran a few years back. HMI: And within your organization, what’s been your role regarding these trips? MC: I am responsible for planning, developing, administering the contest as well as the trip. ([We’re] working with HMI on the [next] trip). HMI: In organizing a group trip, what are some of the key things that you look for? Choose a destination that appeals to your target audience group – do they like the beach or mountains; international or domestic locations; etc. Work with a great Destination Management Company (DMC) on site. They have the expertise and do this every day. Let them help you. HMI: In your mind, is there one particular trip that stands out among the rest? MC: We took our group to Panama in 2013 and had the opportunity to offer boat cruises through two of the Panama Canal locks. That was a bucket list adventure that our group will never forget. HMI: Did your experience on this trip influence the way you’ve approached subsequent trips? MC: Each trip impacts the next one. For our program, we have many of the same people returning on these trips each time. So, it makes it hard to improve upon the last one. You really want to get the group excited during the contest year and the destination is key to that excitement. Then, you have to “one-up” yourself and make the experience better than the previous ones – a great team and DMC helps to do that. HMI: What’s something you’d like to see included in a future trip that you haven’t yet seen or had the chance to experience? MC: I’d like to explore destinations in Europe, but we haven’t really discussed that before for our group. As far as activities during a trip, we’ve done just about everything. HMI: If budget wasn’t a concern, where would you like to take a group? In other words, what’s your dream incentive travel destination? MC: I’d probably say a tour around Europe would be my top choice as many people in our group don’t travel on their own to Europe. Second choice would be Australia. The best practices of today may become outdated tomorrow, so we believe it’s important to continually check in and take the pulse of the industry. There’s no better way to do this than by hearing timely insights from an experienced industry expert. We also hope that you, the readers, have found something useful to take away from this interview. We look forward to hearing any comments or feedback you might have regarding your own incentive travel experiences. Thanks for the interview, Marcia!